Aros of Azteca and Neoloth-Pteor are the deadliest of enemies: swordsman and sorcerer, locked in mortal combat, who have tried to kill each other more times than either can count. But when the princess Neoloth loves is kidnapped, there is only one plan that offers any hope of rescue...and that requires passing off the barbarian Aros as a lost princeling and infiltrating the deadliest cabal of necromancers the world has ever seen. They cannot trust each other. They will betray or kill each other the first chance they get. But they're all each other has. 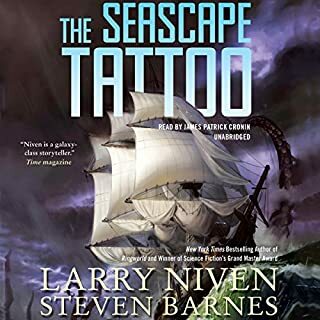 Madness from the Inconstant Moon is a collection of early short science fiction works by Larry Niven, the multiple Hugo and Nebula Award-winning author of the Ringworld series. This classic collection includes "The Inconstant Moon", the basis for a forthcoming film by The Arrival producer Shawn Levy. Doctor Toby Glyer has effected miracle cures with the use of nanotechnology. But Glyer’s controversial nanites are more than just the latest technological advance, they are a new form of life - and they have more uses than just medical. Glyer’s nanites also have the potential to make everyone on Earth rich from the wealth of asteroids. What would the world be like if the space race started during World War II? If Teddy Roosevelt had fought in World War I? If Joseph McCarthy had been elected President? Those and other questions are answered in these nine stories of alternate histories, when the world as we know it might have turned out different than it is today, if only one minor (or major) change had occurred in history. Included in this collection are: "A Massachusetts Yankee in King Arthur's Court" by Harry Turtledove; "Ike at the Mike" by Howard Waldrop; "Looking for the Fountain" by Robert Silverberg; "The Return of William Proxmire" by Larry Niven; "The Arrival of Truth" by Kristine Kathryn Rusch; "Goddard's People" by Allen Steele; "Over There" by Mike Resnick; "Bloodstained Ground" by Brian Thomsen; and "We Could Do Worse" by Gregory Benford. ©1993 by Kristine Kathryn Rusch; 1991 by Mike Resnick; 1982 by Omni Publications, Ltd.; 1998 by Brian Thomsen; 1992 by Agberg, Ltd.; 1988 by Gregory Benford; 1992 by Harry Turtledove; 1991 by Allen Steele; 1989 by Larry Niven (P)1999 NewStar Media Inc.
Alternate History can be the matrix for some excellent speculation and a better understanding of what we are in this reality. This collection almost totally fails to live up to its potential. The Manhattan Project is shunted aside in favor of a rocket program that shoots down an incoming missile? Teddy Roosevelt recreates the Rough Riders to fight in WWI? These could be interesting, but are barely developed…and history doesn’t change much. Other premises are just silly: JFK goes back in time to see the real Camelot; Eisenhower rejects military training and becomes a jazz clarinetist. The only story with any texture is Rusch’s “The Arrival of Truth”, in which Sojourner Truth’s teaching leads to slave revolts. 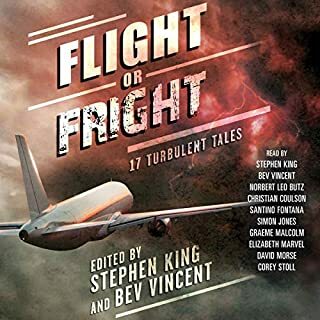 There are some really nice stories in this anthology, with the highlight being "The Return of William Proxmire" by Larry Niven. "Looking for the Fountain" by Robert Silverberg is also one that stood out for me. However, I found a several of these stories rather pedestrian and flat. Perhaps it was the production--to me it always seemed like the narration was very flat and almost toneless. It sure seems like a good re-engineering would make it easier to listen to this set. So you take the good with the bad and come out even? At least I did. 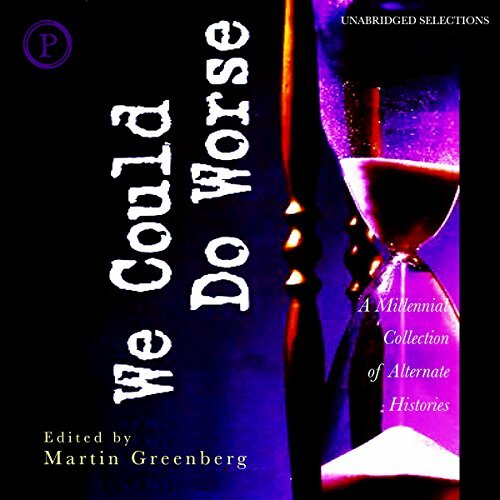 We Could Do Worse is an excellent collection of Alternative History short stories, one of my favourite genres. The readings are excellent, and the different voices match very well the different subject matter and tone of each story. 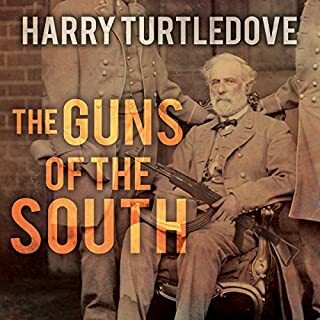 The weakest story is possibly "A Massachusetts Yankee in King Arthur's Court" by Harry Turtledove, about JFK, the real Camelot and a queen with strong appetites; I'm not a fan of Harry Turtledove, I find his writing a bit turgid, but the story is still a lot of fun, and the narrator gives us a bit of 'Boston Bray' to keep it light and on track. "The Arrival of Truth" about a slave uprising in the American South is truly poignant, and "Goddard's People" is a wonderful story of a great pioneer who might have done even more for modern rocketry if the world was slightly different, or if he had been both less and more that he was. The stories are about a 'worse' history that is sometimes better, and sometimes both. Please Audible, more Alt. Hist. compilations! This was such a rip off. the sound quality sucked, and there were not enough stories to make it worthwhile. Audible has been diaappointing me a lot lately, I thonk it's time to cancel my subscription. 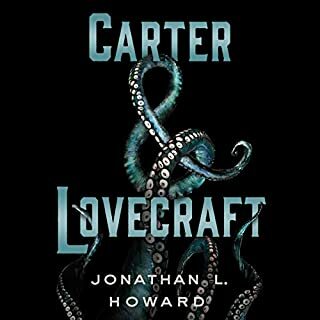 I'm a fan of short stories and really enjoyed this excellent collection of alternate history short stories. It's an enjoyable read. I tend to really enjoy this type of book all the way around. I like alternative histories, and I like collections of short stories by different authors with a similar theme or universe. But this really disappointed me. Maybe it would have liked it more if I hadn't had high expectations. But none of the stories really stuck with me. Some were just so implausible they really didn't feel like alternative histories any more than Alice in Wonderland. I didn't find the narration notable either, but it was far from the worst. I wouldn't hesitate to listen to more books by these two, but I wouldn't seek them out either. Overall, just sort of there. Pick it up if you have strong interest in one of the historical figures. If not, pass. 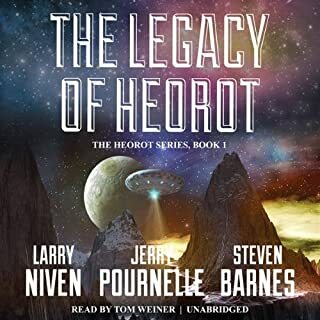 I love Alternate History stories and I’m a big fan of Larry Niven and Harry Turtledove! Sadly this misses the mark. The stories left me not caring weather or not they could have happened. With the exception of the last story, it wouldn’t make any difference in my life if they happened or not. If you get this and decide not to finish listening, skip to the last story it is by far the best. I'm a great fan of what-ifs, so I bought this without even reading the reviews! Most of the stories are not 'what-ifs' as I understand the genre, i.e. the change in the past, in most of these stories, have no effect on the future. When you listen to them, it's a bit odd, you're left thinking 'er, so what?'. Personally, I didn't find any of of them evocative enough to make up for the lack of plot interest. My most recent 'what-if' is SS-GB, which I did enjoy! I love history and the "what if" scenarios, but I am 45 minutes in this book and nothing of substance has happened. I gave it up, 45 minutes is my treshold. After that my braincells have to be engaged. As the teaser says, it's an alternate history book. However, in several cases, it does not live up to it's hype....e.g. "What if McCarthy got elected POTUS?". The answer is not "what if" but "how"? My favorite is "Mass. Yankee in King Arthur's Court." In this story, President JFK goes to Camelot and gets laid by Guinevere. Teddy R's story is no less exciting, but portrays him as anachronistic. 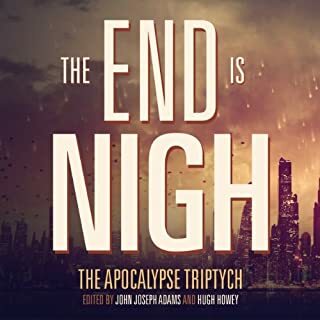 Niven only authored a single story in this anthology. Fun read, you'll like it.